Presidential candidate and billionaire Mikhail Prokhorov has released the final draft of his election program in which he proposes to limit presidential and gubernatorial terms to only two in a lifetime. ­He also wants to simplify the procedure for creating political parties and election blocks, and lower the threshold for parties entering parliament to 3 per cent. In the December elections, the minimum required for a party to make it to the Duma was 7 per cent. However, under new legislation implemented last October, the threshold for the lower house of the next convocation will be 5 per cent. 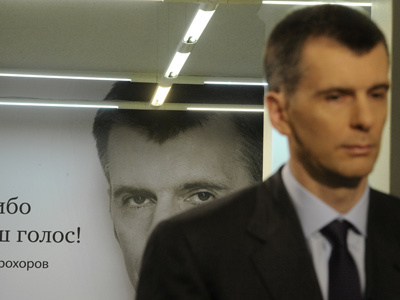 If elected, Prokhorov intends to limit his term in office to four years and has pledged to hold new presidential election in June 2016. 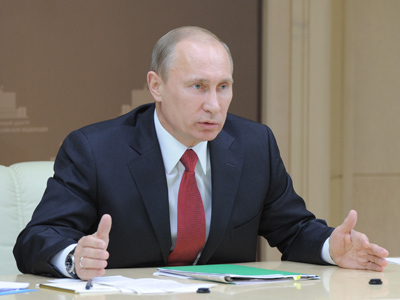 The businessman also says he will be seeking early dissolution of the State Duma. 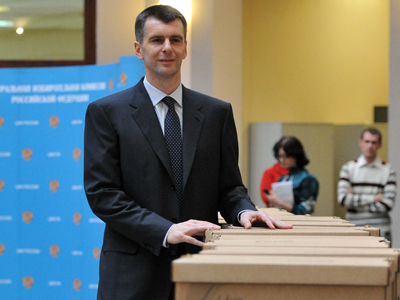 Among other election reforms, Mikhail Prokhorov intends to remove government control over the creation of election commissions, abolish absentee voting, and bring the “against all” entry option back to the ballots, as well as simplify the rules for holding all-Russia referendums. Another major manifesto promise is an amnesty for those convicted for economic crimes, and corresponding amendments to the Criminal Code. As for civil society initiatives, the presidential candidate proposes a compulsory sale by the state, or state-owned companies, of the controlling block of shares in television and radio companies. 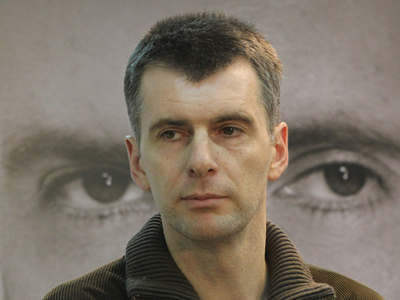 Mikhail Prokhorov’s program, now available on his website, is based on opposing Vladimir Putin’s approach to his own. Each page of the 15-page document is divided into two parts, “what there was under Putin” vs. “what there will be under Prokhorov”.